Car buyers looking for a compact SUVs are spoilt for choice.The Nissan Juke, Peugeot 2008 and Renault Captur have recently been joined by the Seat Arona, Kia Stonic, Hyundai Kona and Skoda Karoq – and another French car, the Citroën C3 Aircross. 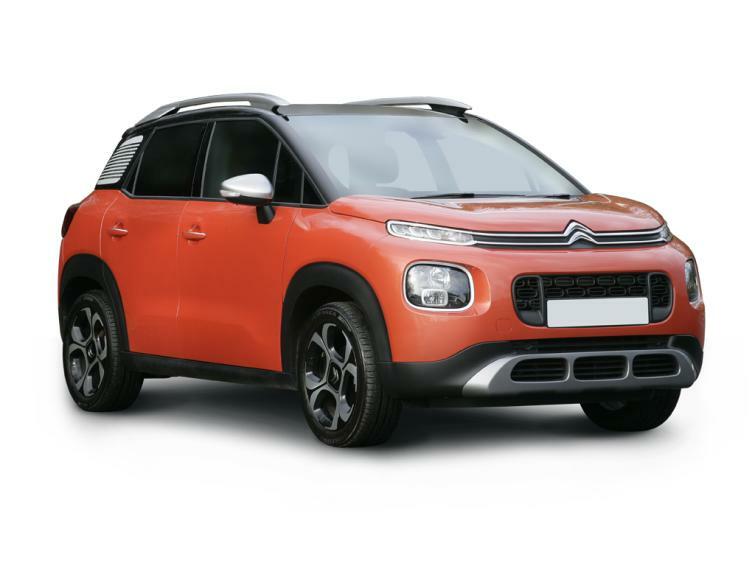 The C3 Aircross is an example of how the car market is changing, in response to changing consumer demand, because it replaces the C3 Picasso, a compact people carrier, otherwise known as an MPV. It also reflects how consumers want a car that they can have some influence on personalising, with the C3 Aircross having 85 exterior choices, along with five interior choices (four of which are extra-cost options). This element of customisation works well with the design of the car, which looks fun and funky, especially when coming with a different-coloured roof and an exterior colour pack (roof rails and wing mirrors). It’s certainly aimed at the young – and young-at-heart – who want something that looks sporty and capable of tackling off-road situations. The interior is less impressive, with lots of different materials – some of which are bit hard and plasticky – being used together, which isn’t totally successful. Buyers will need to spend a bit of money to upgrade to the two upper trim levels, and then spend some more to add some interior options, in order to make their car as interesting on the inside as it is on the outside. What the interior does have in its favour, however, is spaciousness: it feels roomy (especially when the box for the optional full-length sunroof is ticked) and there’s enough head- and legroom for grown-ups in the back (the rear bench that slides back and forward up to 150mm is another useful option to choose). The boot is also practical, with a capacity that ranges from 410 litres to 1,289 litres. Citroën has also included a number of tech options as standard – Bluetooth and DAB, for example – with a 7-inch touchscreen also available on the two upper trim levels, along with Android Auto and Apple CarPlay. Safety equipment is also well specified, with even base Touch models having lane departure warning and cruise control. The option pack that includes Grip Control (which replicates four-wheel drive) and hill descent control is another that helps increase safety (and the ability to undertake some light off-roading). Citroen has kept the engine options relatively simple, with just five alternatives – three petrol and two diesel – so buyers don’t have to waste too much time comparing. The pick of the bunch is the PureTech 110, a petrol unit that is the right balance of performance and running costs, but none of the variants should be too expensive to own. On the road, the C3 Aircross behaves well enough, with an unexciting but consistently behaving character. It doesn’t roll too much for an SUV and the ride quality is pretty much what you’d expect from a Citroën, which has a reputation for making comfortable cars. The small SUV market is getting very competitive, so for a model to stand out, it has to be pretty accomplished. The C3 Aircross certainly looks different to most of its rivals, but that’s pretty much it in the outstanding stakes. It is decent enough, certainly, and, with the likelihood of discounts, could be sufficiently attractively priced to make it on to buyers’ shortlists. But we would certainly suggest looking closely at all the alternatives, in what is becoming a very crowded segment of the market, before choosing a small SUV. The base diesel model returns 70.6mpg on the official combined cycle, which makes it most frugal of all the models in the range, and emits just 104g/km of CO2. Running costs should therefore be the lowest of all variants. Families that cover less than 10,000 or so miles a year would be better off opting for the mid-range petrol engine model, while the automatic gearbox is very usable and convenient. The variant with the greatest power output is the range-topping petrol version, with its 130PS enabling a 10.4-second 0-62mph time. There are five options – three petrol and two diesel – based on either a 1.2-litre petrol unit or 1.6-litre diesel. There are three trim levels – Touch, Feel, Flair. Starting with Touch, they increase in price as each includes more standard-fit equipment. There are just five engine options at launch – three petrol and two diesel. Citroën thinks that around 75% of buyers will opt for a petrol car, so there are three versions of its 1.2-litre, three-cylinder engine. The entry-level model is the PureTech 82, which produces just 80bhp and manages a relatively stately 0-62mph time of 15.9 seconds. Official fuel economy is 55.4mpg, while CO2 emissions are 116g/km. The more powerful PureTech 110 adds a turbocharger, boosting power to 108bhp output and cutting the 0-62mph time to 11.3 seconds. A stop-start system contributes to improving fuel economy (despite the extra power) to 56.5mpg and lowering CO2 to 115g/km. This version is the only one that has the option of a six-speed automatic gearbox (which lowers fuel economy to 50.4mpg and increases emissions to 126g/km) and is the only one we’ve tested to date (with the auto ’box). We found that it coped adequately with mountainous roads with challenging twisting, uphill sections and, while it certainly couldn’t be described as powerful, at the same time neither did it really feel underpowered, the gearshifts also proving efficient enough and well timed. This engine variant is likely to be the most popular one among buyers, thanks to its balance of performance and economy. Topping the petrol range is the PureTech 130 - a 128bhp variant that manages a 10.4-second 0-62mph, while 53.3mpg and 119g/km don’t constitute a huge increase in running costs in return for the extra power. The two diesels are variants of a turbocharged 1.6-litre BlueHDi engine: the BlueHDi 100 produces 98bhp, while the 120 has a 118bhp output. The lower-powered version manages 0-62mph in 12.8 seconds, with a 70.6mpg economy figure and 104g/km emissions. The higher-powered variant, the BlueHDi 120 (which has a stop-start system) has a 10.7-second 0-62mph, with running costs governed by the 68.9mpg and 107g/km. We’ve only driven the latter version so far, which did feel a little gutless, especially when confronted with steeper inclines. That doesn’t augur well for the performance capabilities of the BlueHDi 100. There are three trim levels available to C3 Aircross buyers. The base Touch trim has a decent level of specification, with the features including 16-inch steel wheels, cloth upholstery, DAB digital radio, Bluetooth, USB socket, airbags, lane departure warning, speed limit recognition and recommendation, remote central locking with deadlocks, two rear Isofix points, cruise control and speed limiter, front electric windows, air conditioning and automatic lights. Stepping up to the mid-range Feel trim means buyers also receive 16-inch alloy wheels, front & rear aluminium-effect bumper protectors, leather steering wheel, LED daytime running lights, fog lights with cornering function, Mirror Screen connectivity (with Android Auto, Mirror Link and Apple CarPlay), 7-inch colour touchscreen, electrically adjustable and heated door mirrors, 12v socket in the rear and dark-tinted rear windows. The range-topping Flair trim further adds 17-inch alloys, bi-tone roof, a style pack (in a choice of four colours), Citroën Connect Box Emergency and Assistance System, satellite navigation, automatic dual-zone air conditioning, automatic windscreen wipers, front and rear electric windows, rear parking sensors, keyless entry and start, and a sliding 60/40 split-folding rear bench seat. There are also numerous options and option packs, including metallic paint (£520), exterior colour packs (on Feel cars for £250), interior colour packs (£350-750), an in-car entertainment pack that includes wireless phone charging (on Flair models only, for £650), full-length sunroof (£950) and pseudo-4WD Grip Control and Hill descent assist (£400). The C3 Aircross was launched after the most recent Driver Power survey, so it doesn’t make an appearance. However, the other Citroën models that did appear in that survey don’t exactly cover themselves in glory: the highest overall placing is the C4 Picasso/Grand C4 Picasso, in 42nd position, with the only other entries – the C1 and C4 Cactus – appearing in 71st and 73rd (out of 75 models) places, respectively. Citroën is also in 26th out of the 27 best manufacturers, which isn’t a good sign. Citroën’s warranty is for three years or 60,000 miles, which, although comparable with most of its rivals, falls well short of the five years offered by Hyundai or seven years from Kia. Citroën does have a history of discounting new cars, so expect to see lower-than-recommended prices for new examples the C3 Aircross, especially after the first flush of early-adopting buyers. Discounting new models obviously has an effect on the prices of used cars, so expect to find very reasonable bargains after three years or so. At the moment, we’re seeing 2017 registered cars at around £15,000 - a helpful £2,000 off the sticker price. The C3 Aircross has 85 exterior choices, along with five interior choices (four of which are extra-cost options). The design of the car looks fun and funky, especially when coming with a different-coloured roof and an exterior colour pack (roof rails and wing mirrors, as seen here. It’s aimed at the young – and young-at-heart – who want something that looks sporty but is capable of tackling off-road situations. The interior has lots of different materials – some of which are bit hard and plasticky. Buyers will need to spend a bit of money to upgrade to the two upper trim levels, and then spend some more to add some interior options, in order to make their car as interesting on the inside as it is on the outside. What the cabin does have in its favour, however, is spaciousness: it feels roomy, especially when the box for the optional full-length sunroof is ticked. There’s enough head- and legroom for grown-ups in the back and there's an optional rear bench that slides back and forward up to 150mm to aid legroom or boot room. The boot is as practical as the rest of the car, with a capacity that ranges from 410 litres to 1,289 litres depending on whether you have the rear seats up or down.